Chile, Argentina, South Africa, Australia or New Zealand (so please do check if you need a visa for any of those places!!). 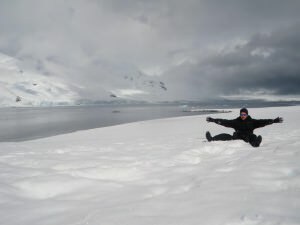 Visa Less but Loving the freedom of Half Moon Island in Antarctica!! Can I Get My Passport Stamped in Antarctica? Yes you can and there are a few places you can get this done, mostly the bases, as well as the South Pole of course. 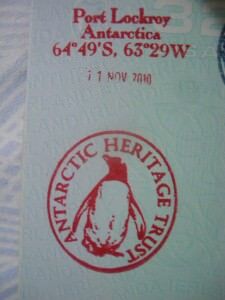 My budget didn’t take me to the South Pole, so I got my passport stamped in the Post Office at Port Lockroy, Wiencke Island. It’s free to do so. The Post Office/Souvenir Shop at Port Lockroy in Antarctica. In here you can get your passport stamped. Do you get an exit stamp when leaving Ushuaia, Argentina? That time I left Argentina without getting an exit stamp…on route to Antarctica! Do you get an entrance stamp on your return to Ushuaia, Argentina? No – again you don’t. I guess there might be an exception if you left Chile for Antarctica and headed back to South America to Argentina. However I didn’t encounter anyone who did this. What currency do you need for Antarctica? As a rule you should always carry US Dollars. You can use them on board the ship and at all museums and bars etc. 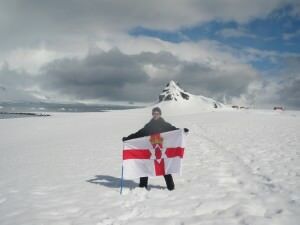 in Antarctica. However Euros will also be accepted in most places. At the British Base Port Lockroy, you can pay in British pounds. Which I did as I had some on me. 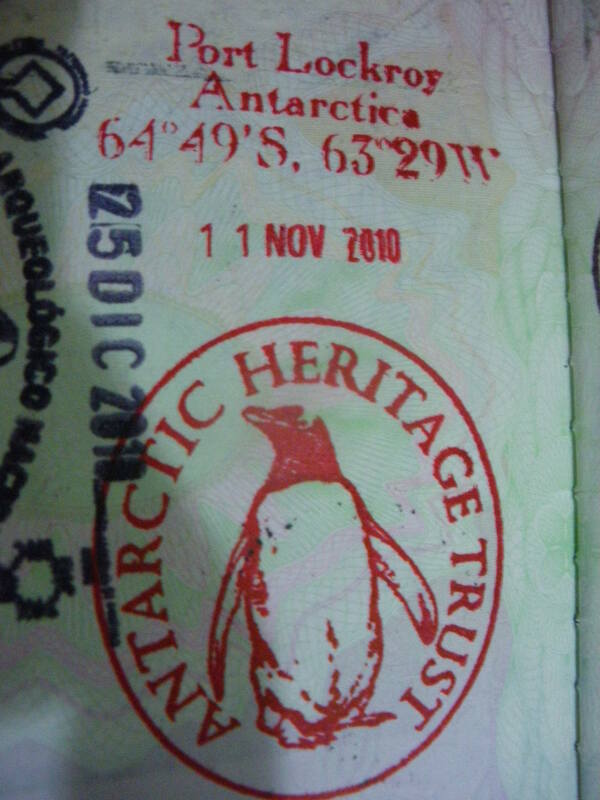 Unsurprisingly Antarctica has no official currency, no official banks and as such no official physical banknotes. However you can get Antarctica Dollars merely as a souvenir item!!! I found this amusing, the Bank of Antarctica even have their own website. So for collectors get on it!! An Antarctica Dollar – for souvenir purposes only! 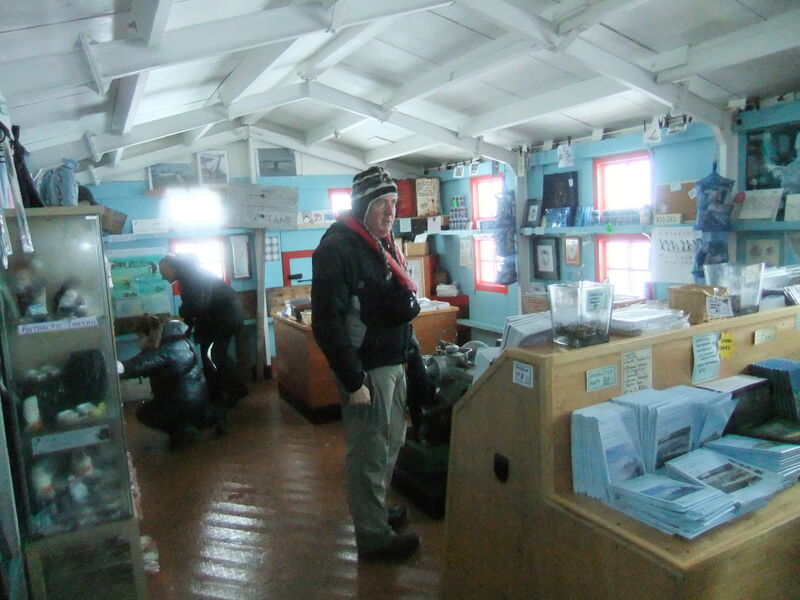 At the British Base you can get Antarctica Stamps in the Post Office (which say on them British Antarctic territory). I picked a few up for souvenir purposes. On arrival at the Polish Base I asked if they accept Zlotys, the answer was no. Visa and Mastercard are NOT accepted on the continent of Antarctica but can be used to settle bills onboard your ship. 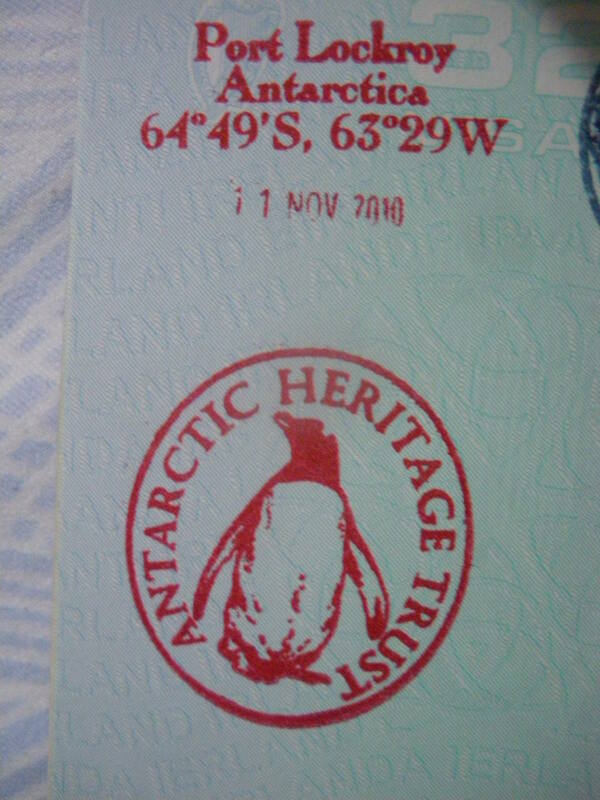 The nearest you’ll get to an actual Antarctica visa is a stamp at one of the bases! What Other Proof Can you get to say you went to Antarctica? 2. 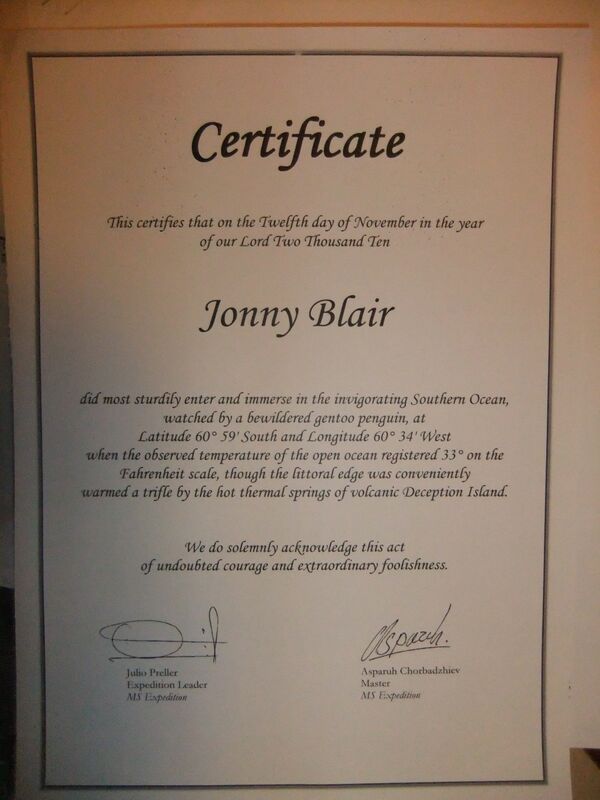 A certificate issued to swimmers only to confirm that we had swam in the water of Antarctica. If you read my naked dip story, you’ll know I was in the water! 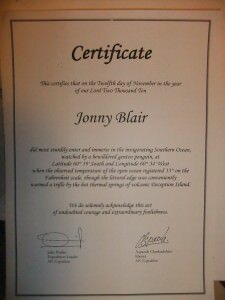 A certificate to prove I swam in Antarctic Waters (although the videos and photos would suffice!). 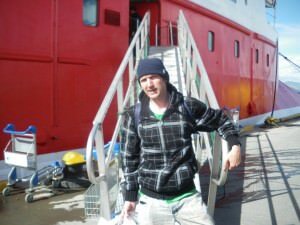 What Nationalities can you expect to meet on an Antarctica Trip? United States of America, Argentina, Chile, Canada, Switzerland, Austria, Belgium, Northern Ireland, England, Scotland, Republic of Ireland, Hong Kong, Israel, Australia, New Zealand, Vietnam, Philippines, Italy, Germany, France, Brazil, Poland. Live your travel dreams and head to Antarctica! the white continent and live your dreams! Cheers! 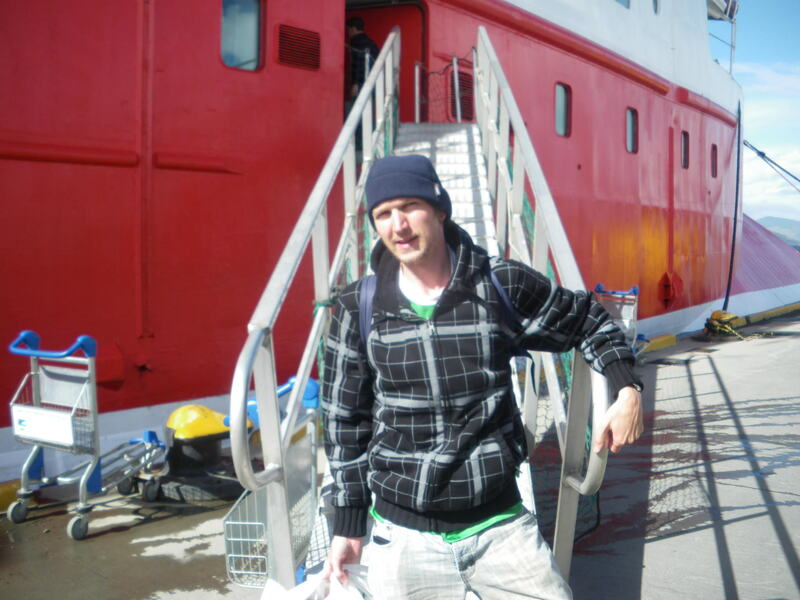 This entry was posted in Antarctica, Antarctica Travel Tips, Destinations, Visas. Bookmark the permalink. I am currently archiving all information I can find on Antarctica and this is so far the best. I am hooked, but do you have a post on the cost of the trip, and my options (money related options). Most awesome post series ever! Mate, Antarctica has been at the top of my bucket list for some time! The ultimate travel experience! I only haven’t done it yet because I’ve been busy ticking off other bucket list items and seeing other dream destinations. But it WILL happen. I’ve been collecting bits and pieces of info about visiting for a little while, and I have to say yours is the absolute best and most comprehensive I have come across! A real resource mate! 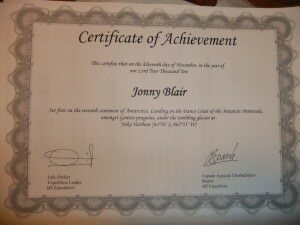 So from one backpacker to another, well done and thank you! Michael Huxley recently posted…Avoid backpacker burnout and indulge your inner flashpacker. I love your blog, Jonny! You surely have a bunch of amazing adventures. Antarctica is one of my dream destinations. Now I know where to find some great tips about it. I want technician job in anterkartica. Only free visa. Just i wanna ask about the immigration to Anatctica. Can I immigrate? What are the conditions/rules? Hi Jon thanks for your article. It was much helpful for new travellers. Antarctica is on my bucket list and i wanna visit once over there. One of my friend is working over there and i wanna meet that girl asap as i need to help that girl. So my question is i am from India. How do i get from India to Antactica. Suggest me the best way to get over to Antactica champ.